How to make family dinners happen for your family. 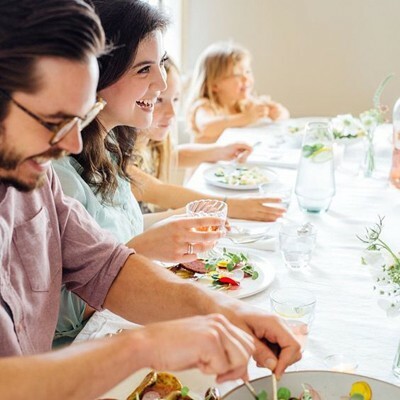 Invite their friends to stay for dinner, or a grandparent, or a neighbor — the point is togetherness at the table, not a strict attendance rule for chromosomal matches. Have a toast before you start the meal (no kid will say no to an excuse to bump their cup into yours.) Have a dinner playlist. Steal from Thanksgiving and have everyone say one thing they’re grateful for that day. Rituals make everything feel more special and fun — for kids and parents alike. Cheers! View More Awesome News Created with sketchtool. Originally published at news.rocketsofawesome.com on January 24, 2017. Do You Eat Dinner With Your Kids?